8th Annual Pepper Festival Sunday Sept 27th! 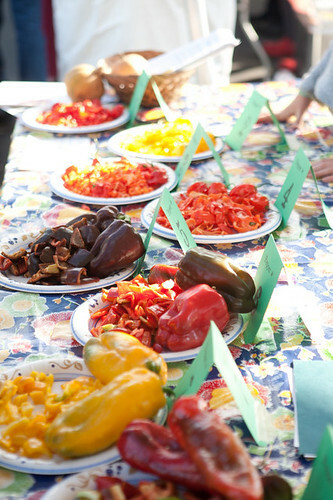 If you’re a voracious local foodie, a supporter of North Carolina’s sustainable agriculture or just enjoy good music and a cold beer, don’t miss the 8th Annual Pepper Festival this Sunday, September 27th, 2015 from 3-7pm at Briar Chapel Community Park in Chapel Hill. The 2015 Pepper Festival challenges approximately 45 of the state’s top chefs to create one-of-a-kind recipes, from pepper chocolate to pepper vodka, using the locally grown and bred North Carolina pepper. The roster features culinary heavy hitters, such as Herons at The Umstead, The Fearrington Granary, TOPO, Harvest 18 and Gravy with craft brews from Carolina Brewery, Fullsteam, Crude Bitters, Yesteryears and more. For the first time, the Pepper Festival will feature Pepperpalooza, kid-friendly activities to provide hands-on education about local agriculture. The schedule features creative workshops such as “Food Fonts,” a chance to play and write with food, and “The Insane Science of Fairyland,” a storytelling experience that combines science with fairy-tale characters like the Big Bad Wolf. Festival goers can also enjoy artisan booths, acrobatic entertainment and music. Adult admission is $25-35 based on a cascading registration schedule. Drinks are cash bar. Children under the age of 12 attend free. Tickets may be purchased at www.pepperfestnc.org or by calling 919-533-5181. The festival will be held at the Great Meadow Park at Briar Chapel located at 185 Granite Mill Blvd. in Chapel Hill, N.C. Festivalgoers can enter Granite Mill Boulevard from Andrews Store Road near Margaret Pollard Middle School and follow signs to the festival. All proceeds benefit Abundance NC (formerly Abundance Foundation), a nonprofit that cultivates and celebrates resilient communities by strengthening food systems, increasing renewable energy education and developing robust local economies. 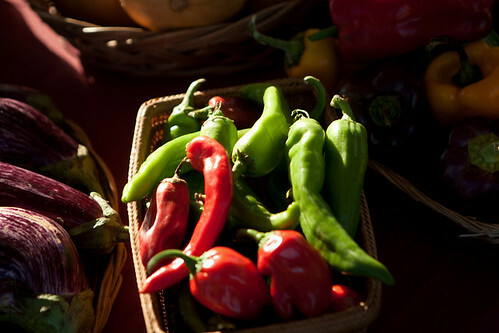 Abundance NC partners with Piedmont Biofarm and other Chatham County farms to supply local peppers for the festival. Piedmont Biofarm produces sustainably grown, high-quality food year-round while improving soil fertility. A full list of partnering farms is available at pepperfestnc.org. As the we come to the end of September we are neck deep in incredible local festivals here in the Triangle. This weekend has something for everybody – from bluegrass to wrestling, to food trucks. Check out my weekend roundup of things to do in Raleigh, Durham, and Chapel Hill below for more information about this weekends top picks. The weather should be excellent this weekend so get outside and enjoy! There are two parts to the Bluegrass Festival. The first part is a ticketed event with headlining acts on the Convention Center and Ampitheater (view lineup here). The other half of Wide Open Bluegrass is a FREE street festival noon until 11:00PM Friday and Saturday. With three music stages, a youth talent stage, the North Carolina Whole Hog Barbecue State Championship, Dance Tent, and many more things to see, do and eat! 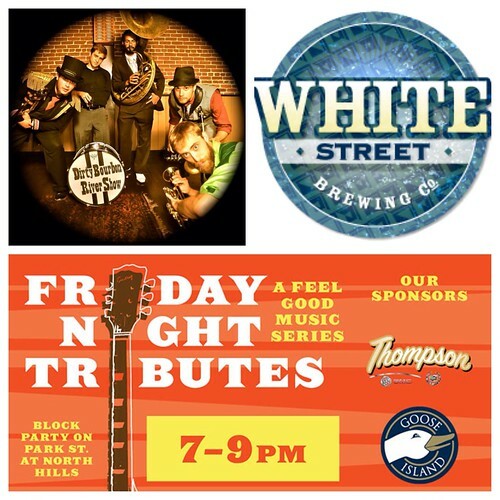 For the FREE Street Fest band schedule check the link provided below. 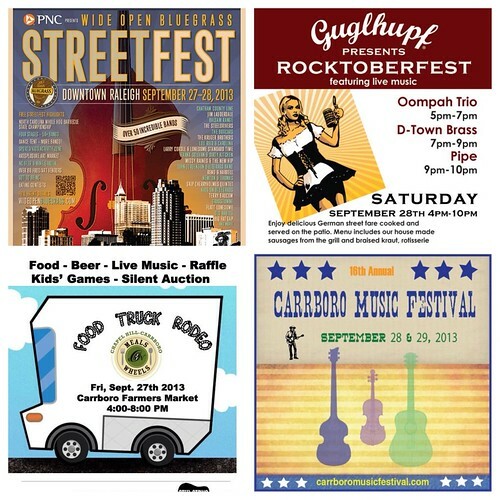 The “Music on the Streets” program is offered during the week leading up to the Carrboro Music Festival. This will be a week of free concerts in various locations throughout town. The concerts will have a “front porch” feel to them. People will be encouraged to hang out on the lawn, parking lot, and front porch to hear local bands perform. Each night will feature a different style of music from Jazz to Rock. On Friday, my band The Bulltown Strutters will be performing this Friday from 6-8pm in the Modern Fossil Parking Lot. Sola Coffee regularly hosts live music each Friday & Saturday at 7:30pm. This Friday they play host to Chris Hendricks. I’ve had the honor of hearing Chris play before and he is a talent not to be missed. Chapel Hill-Carrboro Meals on Wheels is having their second annual Food Truck Rodeo fundraiser on Friday. Come join them at the Carrboro Farmers Market location between 4:00-8:00 for some excellent food from ten local food trucks! Steel String Brewery will also be there selling their locally crafted BEER! There will be a silent auction, music, and bake sale and 10% of food truck proceeds will be donated to Chapel Hill-Carrboro Meals on Wheels to help feed our homebound neighbors! Carrboro’s weekend long, free festival featuring over 180 performing acts at 25 indoor and outdoor venues. In the space of a few hours within downtown Carrboro, a listener can hear Bluegrass, Folk, Jazz, Country, Rock & Roll, Classical, and World Music. This is Carrboro’s effort to showcase Triangle area performers and the varied musical styles they represent. Enjoy a night of beer, body slams, and food! GOUGE will present a night of highly entertaining sports entertainment featuring brawlers, luchadors, nice guys, vampires, cowboys, Roman conquerors, nerds, grapplers, sheiks, and Amish ruffians! Hank Sinatra will play in the ring at 6pm with wrestling to follow! Not a rasslin fan? Check out the great food from 7 local food trucks, locally brewed cold beer and a nice spring evening outdoors and some really cool art at Rebus as well. Raleigh’s Irish Music Festival for 2013 is scheduled for Saturday, September 28 in downtown Raleigh at Moore Square, adjacent to the 200 block of S. Blount Street. The festival is free. It begins at 11AM and runs through 7PM. It will feature a diverse variety of entertainment for the whole family. Irish musicians, Irish bands, and Irish dancers will perform throughout the day. Children’s entertainment, and a wide variety of food and refreshments will be available as well. Kick off the fall season with the second annual Fresh Roots Festival featuring live music by yepROC Records artists. Join us Saturday, September 28for a celebration of Downtown Hillsborough shopping, dining, art, music and more! Now in its 4th year, Guglhupf’s family-friendly “Oktoberfest-with-a-twist” features live music, delicious German street food and specialty beer on tap! Originating in Munich, Germany in the early 1800’s, Oktoberfest is now celebrated around the world. The great people at Deep River Brewing are coming together with the community for a fundraiser event to benefit an employee who was recently hurt in a car accident. This Saturday from 1-9pm the brewery will be hosting a KEG AND CASK TAPPING EVENT. They will have one-off casks on the bar and a variety of kegs donated by local breweries. Plus live music from the Carolina Island Boys 6-9pm. 100% of the proceeds from the casks and kegs will go to the employee to help them cover some of their basic expenses while they are out of work. Last Weekend of Raleigh Flea Market Before State Fair! Seems like every year I forget about this. The Raleigh Flea Market closes after the last weekend of September to make way for the State Fair when it comes to town in October. Don’t worry, the flea market will come back in November, but get out there this weekend if you want to enjoy the market on a nice warm fall day. It is going to be beautiful this weekend! Carrboro’s weekend long, free festival featuring over 180 performing acts at 25 indoor and outdoor venues. In the space of a few hours within downtown Carrboro, a listener can hear Bluegrass, Folk, Jazz, Country, Rock & Roll, Classical, and World Music. There are so many fun things going on this weekend it is really hard to narrow it down to just handful of picks! My picks span from local beer in Wake Forest to a fashion show in downtown Raleigh to a pepper festival in Oxford and live music in Chapel Hill. No matter where you are in the Triangle this weekend there are great things going on! An awesome band playing is at Motorco in Durham tonight at 9pm! The Dirty Bourbon River Show is comprised of Noah Adams (vocals, piano, guitar, accordion, trumpet), Charles “Big Charlie” Skinner (vocals, trombone, wind toys), Matt “Slyfox” Thomas (vocals, tenor, bari and Mississippi saxophone, clarinet), Jimmy Williams (bass, sousaphone) and Dane “Bootsy” Schindler (drums). See website below for ticket information. Every Friday from September 6th through October 11th, Midtown Events will be hosting a block party from 7-9pm on Park Street at North Hills. This new series will pay tribute to some of your favorite music legends and is sure to have something for everyone! This Friday enjoy the tunes of Jimmy Buffet tribute band Coconut Groove. Guided by the staff of well-oiled brewers, tours of the brewery take place the second Saturday of each month at 2 p.m. The 30-minute tour takes you through the entire facility where you will learn about Big Boss’s beer-making process. And afterward you can try a few sample brews for $1 each (limit three). There are usually a handful of food trucks there as well. Please bring a valid ID. They must ID everyone! Mega Adoption Event for the Wake County Animal Center Saturday Sept 14 and Sunday Sept 15th at the Capital Bld PetSmart (2800 Milbrook Road) . Come out from 10am-4pm to meet animals from the shelter who are up for adoption. The shelter has a goal of 100 Adoptions in 2 days! fashionSPARK runway show!at City Plaza in Downtown Raleigh from 8-9:30 pm. Activities all day lead up to the fashion show with a Main Stage line-up of music, dance and theater, street painting on Fayetteville Street and an art bazaar in City Plaza. Fashion show and film to screen in the evening. Galleries featuring design, art and new media/digital work in multiple venues. The NC Hot Sauce Contest brings thousands of people to downtown Oxford to interact with friends, merchants, fans, artisans and vendors. North Carolina’s finest hot sauces and barbeque sauces, along with breweries and wineries spice up the blends and texture of downtown’s historical streets. Enter the NC Pepper Eating Contest. Watch as Artist Dan Nelson creates our Festival on Canvas. NC Hot Sauces and Barbecue Sauces, all will be competing for the title of North Carolina’s Best!!!!!!! Great music and fun with an all ladies band playing rock, blues, and funk this Friday at “The Bar” in Durham 8-10pm w/$5 cover. Wake Forest’s White Street Brewery Celebrates its one year Anniversary Sunday September 15th! Noon-9pm There will be a full day of live music, food trucks, raffles & prize give-aways and much more! Alivia’s and Red, Hot, & Blue food trucks, Lumpy’s ice cream. Music by Todd Harris, The Andy Coats Trio, and The Will McBride Group. 96.1FM broadcasting live from 12-2pm and giving away prizes every 5 min for an hour. $3.00 pints (most beers) and $6 growler fills all day! All About Beer Magazine on site to give away World Beerfest tickets and a subscription to the magazine. FREE Sunday evening concerts, beginning each week at 6 pm at Southern Village in Chapel Hill. Guests are invited to bring lawn chairs or blankets for seating, and to bring a picnic, or purchase food from any of the Southern Village food establishments. All performances are free, and will be held on the stage at the Village Green in Southern Village.This Sunday’s performer is Bluegrass Battleship. The 8th annual Magnificent Mile Race will be held in Raleigh, NC on Sunday, September 15, 2012 to benefit the Spastic Paraplegia Foundation.The Magnificent Mile features a men’s and women’s competitive mile, a recreational mile, and two kids’ races. The race begins at 2 pm at 330 Hillsborough Street. The Magnificent Mile is part of the fall portion of the Second Empire Grand-Prix Series. Food courtesy of The Q Shack and Whole Foods, as well as face-painting, a bouncy house, a mobile video-gaming van, and great door prizes. Pepper Festival in Chapel Hill on October 6th! Make sure you save the date and get your tickets today for the 6th annual Pepper Festival. It is a celebration of sustainable agriculture, farmers, renewable energy, and the creativity of the Piedmont’s chefs, brewers and artisans! Live Music by Big Fat Gap, Loamlands, and Steph Stewart and the Boyfriends! Cash bar with pepper-infused beers, wines, and liquors! Interactive exhibits & kids’ funzone with face-painting, giant bubbles, circus performers! $25 before Sept 13 at midnight, $30 after Sept 13, $35 at the gate. Kids under 12 get in free! With your ticket you get an endless supply of pepper-themed dishes from some of the Piedmont’s best chefs and food artisans, made with locally-sourced pepper varieties! You can buy tickets here. For more details about the Pepper Festival website.